"The innovation exhibition will showcase novel solutions to the problems in multiple domains such as engineering, agriculture, health and other socio-economic sectors. These innovations are aimed at improving productivity and efficiency, and enhancing affordability and environmental quality. 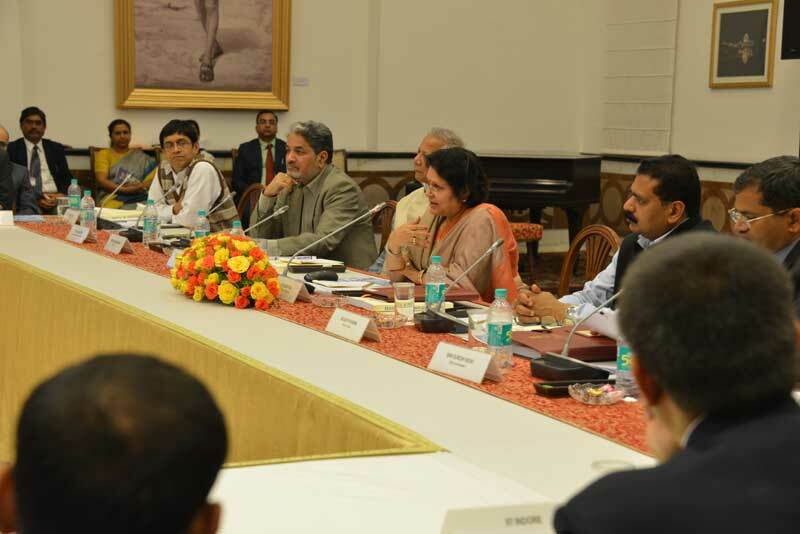 They provide a veritable impetus to the Make in India mission in our country." "Innovation is the critical link in the value chain of economic growth and development. There are many innovations taking place in different parts of our country. If such innovations are linked properly with the key players in the innovation eco-system like educational and research institutions, and the industry, it will increase the survival rate of innovative ideas which can transform into start-ups." The celebration of grassroots innovation at Rashtrapati Bhavan empowers creative communities in a manner that was never tried before in the history of the country. 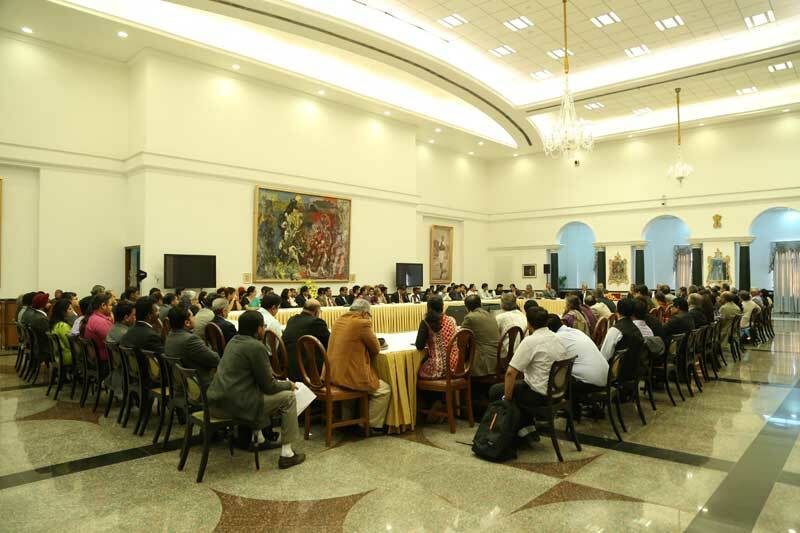 The first Festival of Innovation (FOIN) March 7-13, 2015, at Rashtrapati Bhavan, New Delhi, focused the attention of the nation towards the untapped potential of knowledge-rich, economically poor people. India is perhaps the only country where the head of the state hosts such a festival at his house. Not only that, under a new initiative launched recently, 10 innovation scholars in-residence were hosted at the President’s house for two weeks. 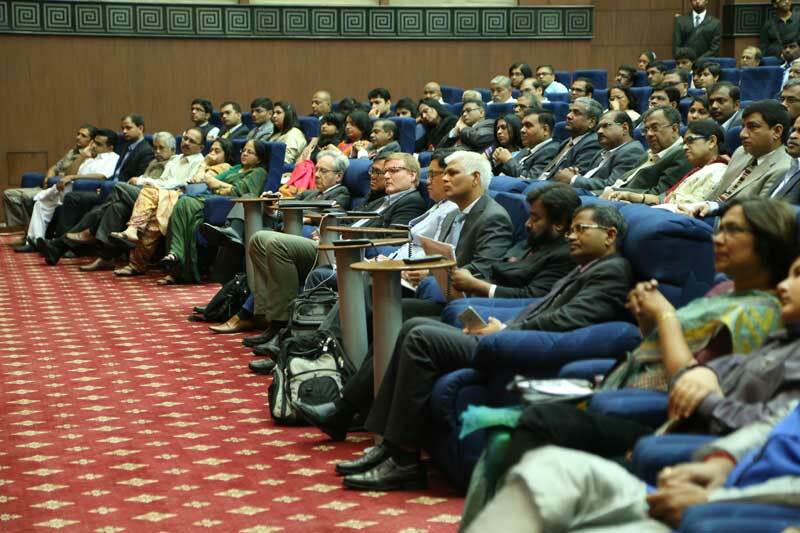 The FOIN was organised by the President’s Secretariat, assisted by the National Innovation Foundation (NIF) and Society for Research and Initiatives for Sustainable Technologies and Institutions (SRISTI), part of The Honey Bee Network. The Honey Bee Network, a social movement to uncover the hidden innovative talent, started 25 years ago and has made a small contribution towards recognition, respect and reward for the unsung heroes of our society. This will help in making India a creative, compassionate and collaborative society. 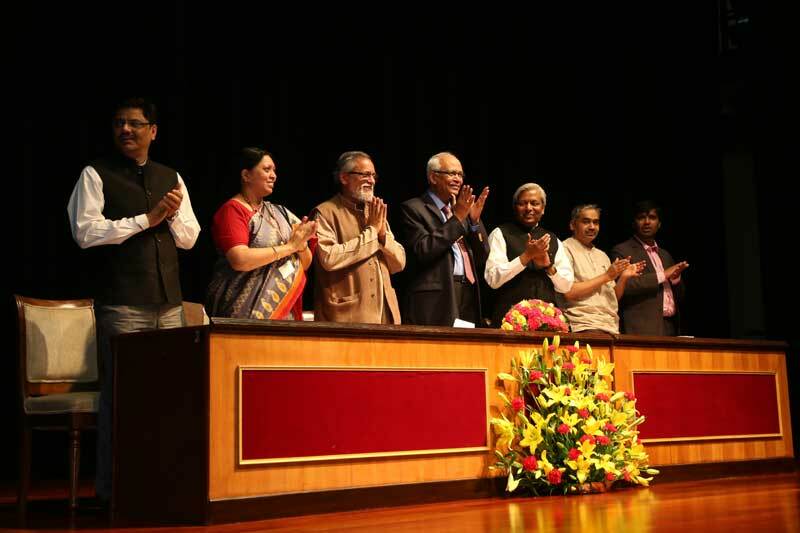 The President of India, Hon’ble Shri Pranab Mukherjee, inaugurated the week-long FOIN, aimed at creating an inclusive ecosystem to boost grassroots innovations in India. The President of India, Shri Pranab Mukherjee, gave away the awards in presence of Dr Harsh Vardhan (Minister of Science & Technology and Earth Sciences), Shri Y S Chowdary (Minister of State, Ministry of Science & Technology and Earth Sciences), Dr Ashutosh Sharma (Secretary, Department of Science and Technology) and SmtOmita Paul (Secretary to the President) along with Dr R A Mashelkar (Chairperson, NIF),Prof Anil K Gupta (founder, Honey Bee Network), and Dr Vipin Kumar, Director, NIF. Along with the grassroots innovators, awards were also given to journalists for their support to the grassroots innovations movement, fabricators for helping convert ideas into prototypes/products, an international law firm for facilitating intellectual property rights (IPR) protection for these innovators in the USA, and science & technology councils of Sikkim and Uttar Pradesh for supporting the grassroots innovation movement, among others. NIF received about 35,000 entries during 2012-14 from 18 states, of which 41 were awarded. All of these were subjected to technical and patent prior art search to ascertain the novelty/distinction and/or cost-effectiveness. 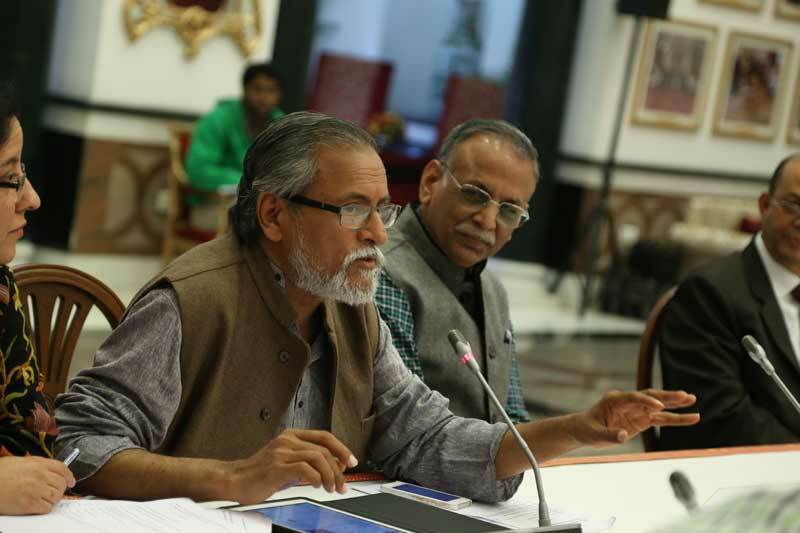 The Research Advisory Committee, comprising the heads of top research & development (R&D) institutions, experts from engineering, agricultural and veterinary colleges, vice chancellors of various universities from different parts of India, screened and shortlisted the potential awardees. 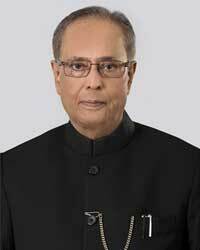 The President Shri Pranab Mukherjee congratulated the winners for their creative contribution towards developing extremely affordable and useful solutions to the local problems for the benefit of society at large. He also appreciated the contribution of Dr R A Mashelkar and Prof Anil K Gupta in guiding an innovation movement in the country. 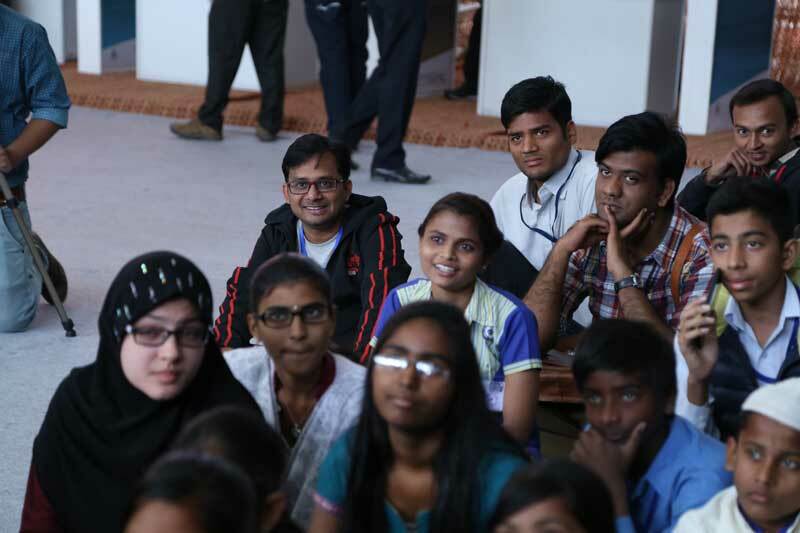 The President then interacted with a new batch of innovation scholars and writers in-residence. Growth by itself is not sufficient to ensure that the benefits reach all sections of the society. But, without growth there will not be enough resources available to invest in inclusive innovations for dissemination through social or commercial markets. Many countries have overcome the constraints coming in the way of achieving a sustainable and balanced economic development. They have alleviated poverty and expanded opportunities for the disadvantaged citizens. India is evolving a new blend of entitlement and entrepreneurial choices in public policy. Frugality in consumption and lifestyles, sustainability in production, distribution within circular economy framework and harnessing the entrepreneurial aspirations of the youth have become a few major pivots for future development. 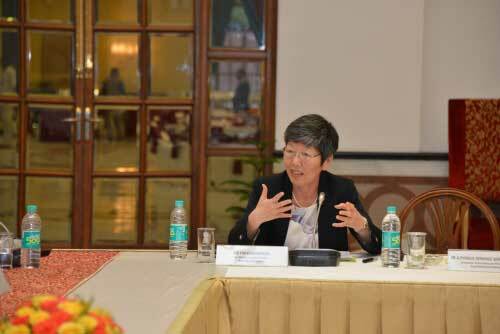 The global roundtable was organised to learn from the experience of those countries which have achieved outstanding success in mobilising innovative solutions for various social challenges through educational, technological, institutional and cultural creativity. 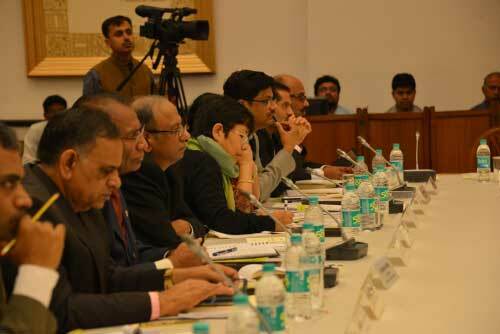 Indian experience, in addressing similar challenges, was also shared. Perhaps, there is no universal solution to these challenges but, learning from the strategies used by different countries, a universal, open, reciprocal and responsive innovation platform can definitely be developed. 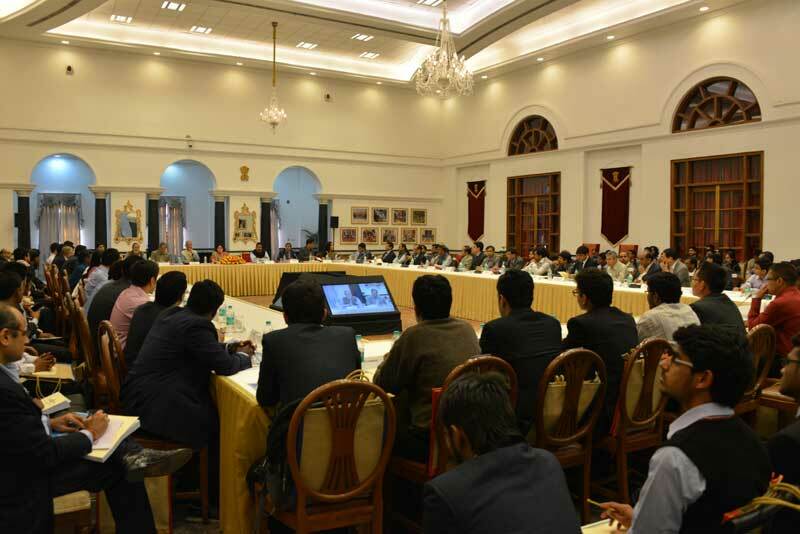 The Global Roundtable on Inclusive Innovation tried to create such a platform under the guidance of Hon’ble President of India, Shri Pranab Mukherjee during March 7-8, 2015. 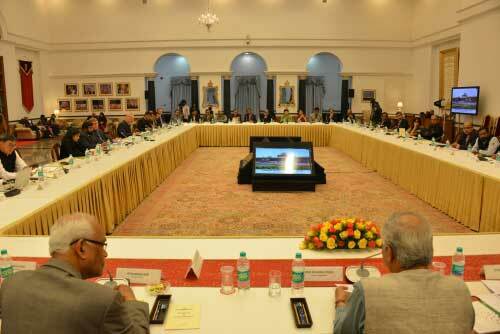 Distinguished thinkers, policymakers, academicians, entrepreneurs and noble laureates were invited to the Roundtable. Key lessons were shared on March 7, in the presence of the President. The four sessions were chaired by Dr R A Mashelkar, FRS, Chairperson of NIF-India; Prof Muhammad Yunus, founder of Grameen Bank; Mr Jack Sim, Singapore and Prof Anil K Gupta, founder of Honey Bee Network. The participants were from Bangladesh, Japan, Republic of Korea, Singapore, Denmark, Finland, Germany, Canada, USA, Uganda, Zimbabwe and India. They represented at the highest level, a variety of organisations such as universities, non-governmental organisations (NGOs), national and state government departments, judiciary, research institutes and UNICEF. The Gandhian Young Technological Innovation (GYTI) Awards is a SRISTI initiative to foster youth-driven innovations across India. 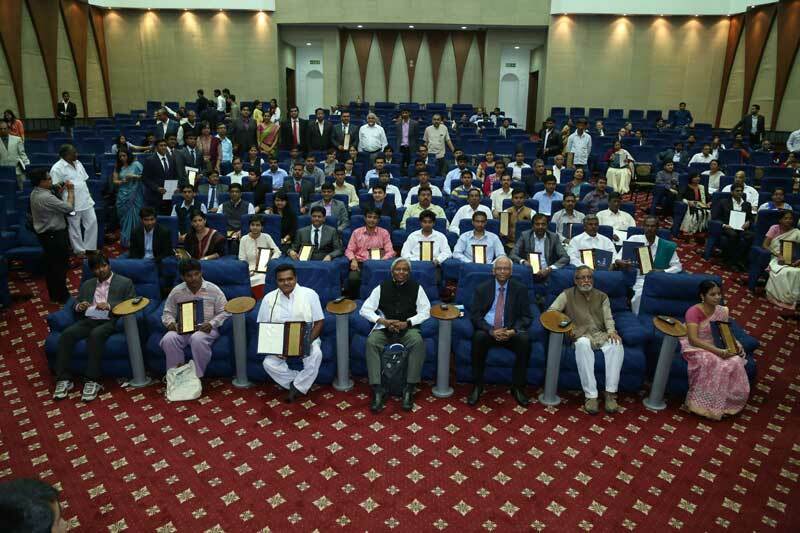 The 4th GYTI Awards function was held on March 8, 2015 during the first FOIN at Rashtrapati Bhavan. 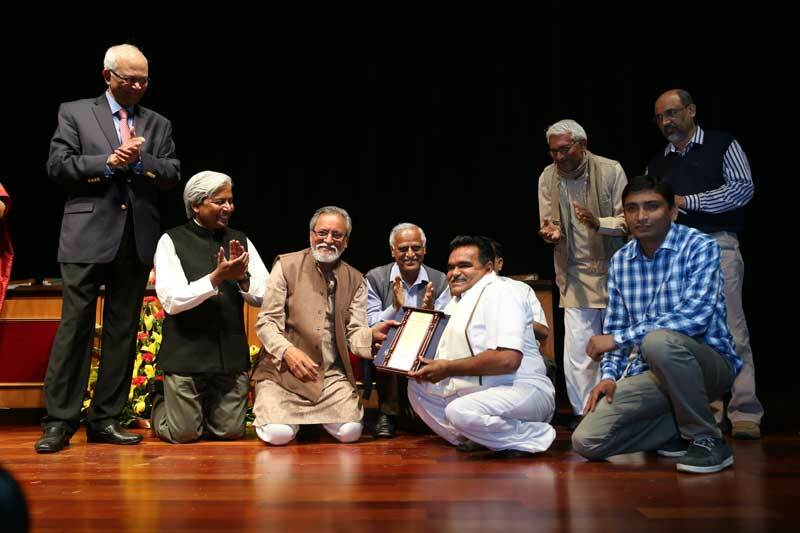 The awards were given by Dr R A Mashelkar, Chairman, National Innovation Foundation (NIF). MLM (more from less for many) Award - Award for this category is given to projects that use significantly less material/energy to create sustainable solutions. SRISTI Socially-Relevant Technological Innovation Award - Award under this category recognises students who have a demonstrable proof of concept/prototype that possesses a significant amount of novelty and social application. Technological-edge Award - A breakthrough or a significant technological advance in any field of engineering, pharmacy, medical, agricultural or other disciplines qualifies a student for this award. For GYTI 2015 awards, 1,900 nominations across 50 technological domains from 150 universities/institutes were received. The participants belonged to 28 different states, and six Union Territories. The panel in this session included Prof K VijayRaghavan, Secretary, Department of Biotechnology; Dr RA Mashelkar, Chairperson, NIF; Dr Renu Swarup, Managing Director, BIRAC; Prof Anil K Gupta, Executive Vice Chairperson, NIF; Dr Vipin Kumar, Director, NIF; Mr Ramesh Patel, Secretary, SRISTI and Mr Hiranmay Mahanta, coordinator, techpedia.sristi.org. 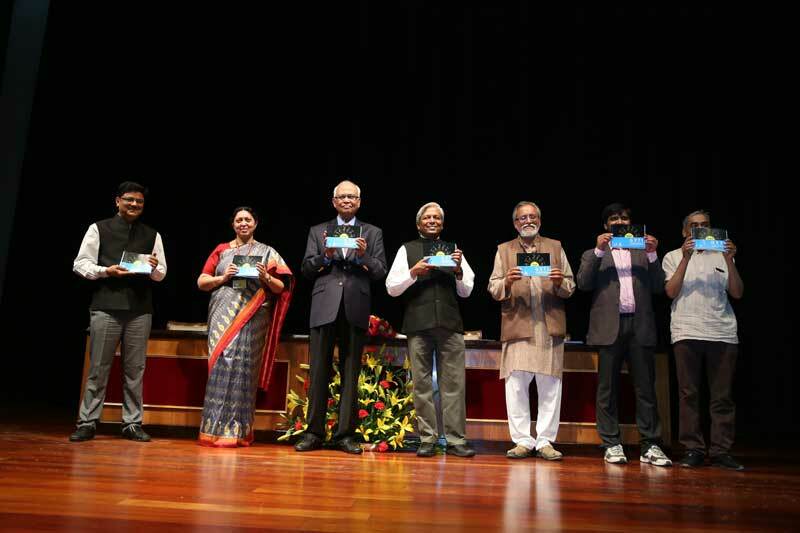 An award ceremony was held for the GYTI winners, during which GYTI 2015 book, supported by JSW and Honey Bee Network institutions, was also launched. An MoU was signed between BIRAC, SRISTI and LIGTT: Institute for Globally Transformative Technologies, Lawrence Berkeley National Lab, USA. 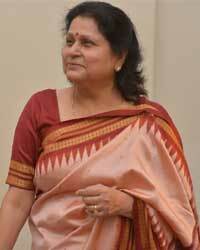 On the same day, SRISTI Sanman Awards were presented followed by a book launch on the same. 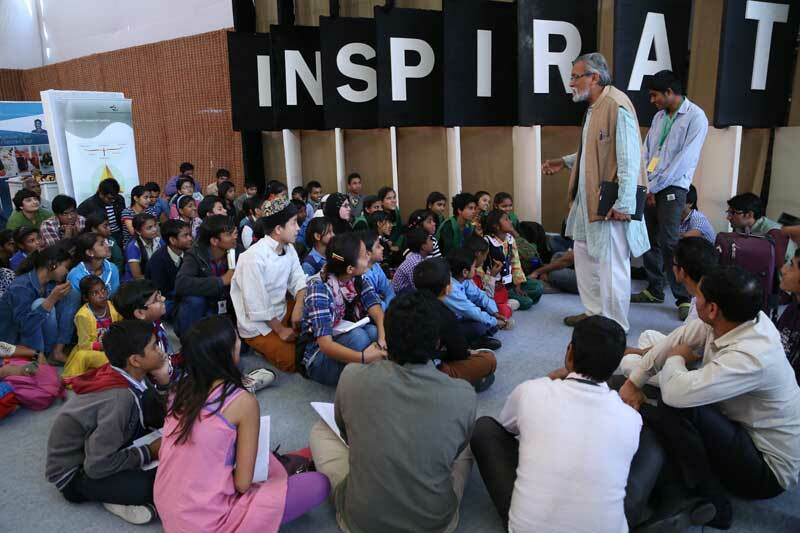 The Children's Creativity Camp/workshop sought solutions to societal problems in slums around Delhi through creative ideas of 35 privileged children and 35 underprivileged children (See list of nominated children). The workshop was held in the exhibition tent of the FOIN, thus exposing the children to innovations by children, technology students and people at the grassroots like farmers, mechanics, etc. 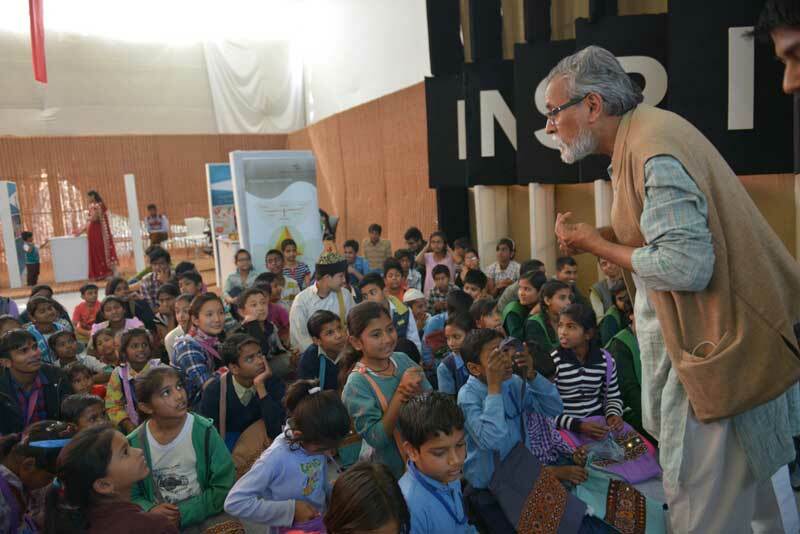 The children were given an exposure to different solutions to real-life problems tried by innovators at the exhibition and were encouraged to imbibe the empathetic values in developing innovative ideas to solve basic problems faced by people living in underprivileged areas like slums. The overall objective of the programme was to develop an operational framework for empowering children to not only articulate their problems but, also to find solutions, both individually and collectively. The inverted model of innovation implies that children ideate/innovate; fabricators design and companies/agencies diffuse commercially or socially. Involvement of children in solving their challenges will help us understand micro and macro strategies, which can mobilise the creative potential of children around the world. This may help in overcoming persistent social inertia in developing countries. The children addressed the following: a) the challenges they face; b) challenges that the society around them faces, and c) other problems that inhibit the unfolding of their potential. 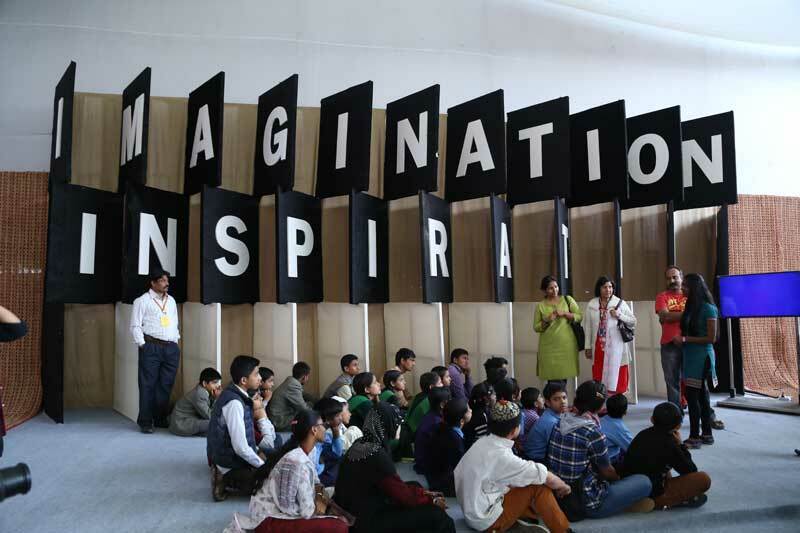 The workshop aimed at tapping the dormant creative potential of underprivileged children who probably did not have the courage to articulate their ideas. Likewise, those children and youth who have innovated in some areas may come out with creative ideas in other domains as well. The workshop was held over two days. The first day involved brainstorming, visiting the displays in the FOIN exhibition and meeting grassroots innovators, a briefing on field work and then visits to the slums. On the second day, the children worked in groups in the exhibition tent, sketching the problems and presenting their ideas to solve them. 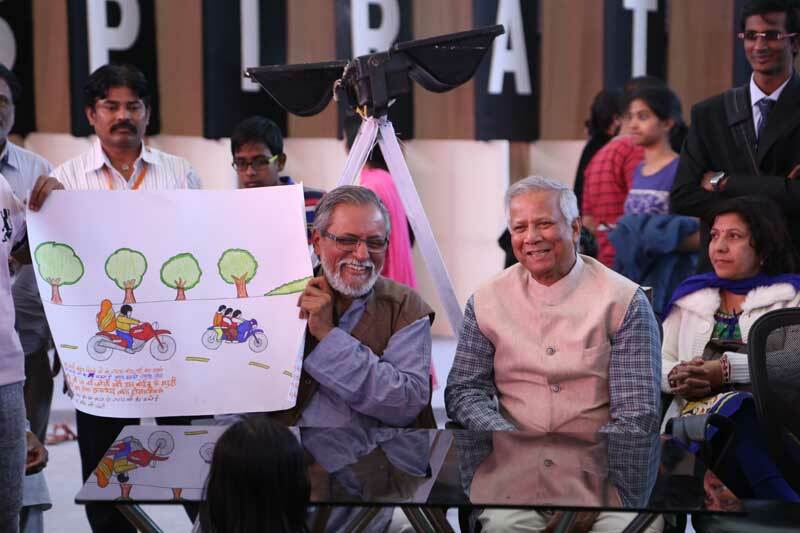 During an on-the-spot idea competition the children came up with brilliant ideas regarding bicycles. Where we normally consider a cycle only as a tool for transportation, these children saw it as a livelihood and subsistence tool. What we adults regard as normal, children look at that with different and interesting perspectives. Once their curiosity is triggered there is no looking back. Several ideas were generated by the children in a matter of a few minutes. Schools/NGOs nominated 76 children to attend the Creativity Camp. 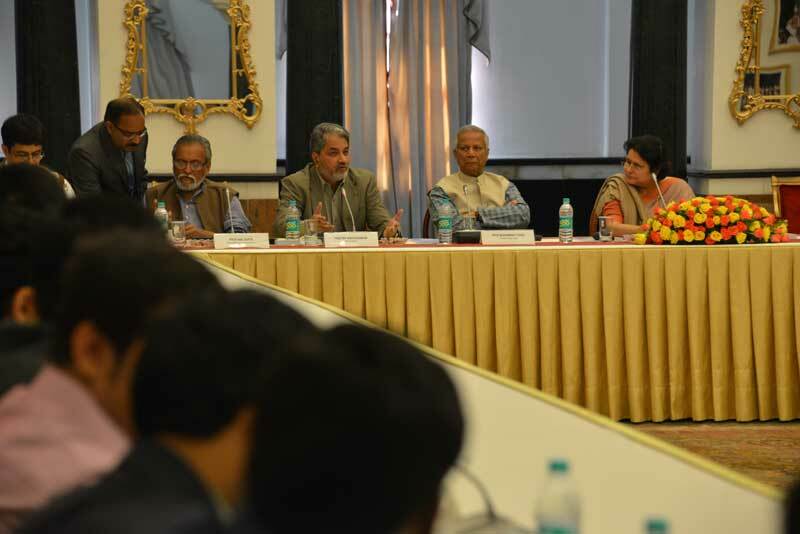 A meeting of National Innovation Clubs of various universities, IITs and NITs was held as part of FOIN. The innovation clubs shared their achievements and ideas to promote innovations within their campus and outside. More than 100 participants from 42 institutions attended the meeting. The Hon'ble President Shri Pranab Mukherjee had exhorted the academia to set up National Innovation Clubs in central universities and institutions of higher learning viz IITs, NITs and IISERs. Accordingly, the clubs aim to promote inclusive innovations by linking the creativity in the formal and informal sectors. Primarily, the clubs aim at four functions: [a] search creativity and innovations, [b] spread information about useful innovations, [c] sense the unmet needs and [d] celebrate the spirit of creativity. Volunteers from among faculty, staff and students are expected to join hands with the innovators at different levels and in different sectors to ensure widest application for creative and innovative ideas. The panel for this session included SmtOmita Paul, Secretary to the President of India, Nobel Laureate Prof Muhammad Yunus, founder, Grameen Bank, Mr Suresh Yadav, OSD to the President, Prof R K Shevgaonkar, Director, IIT, Delhi, Dr Ajay K Sharma, Director, NIT, Delhi, Prof Anil K Gupta, Executive Vice Chairperson, NIF and Dr Vipin Kumar, Director, NIF. 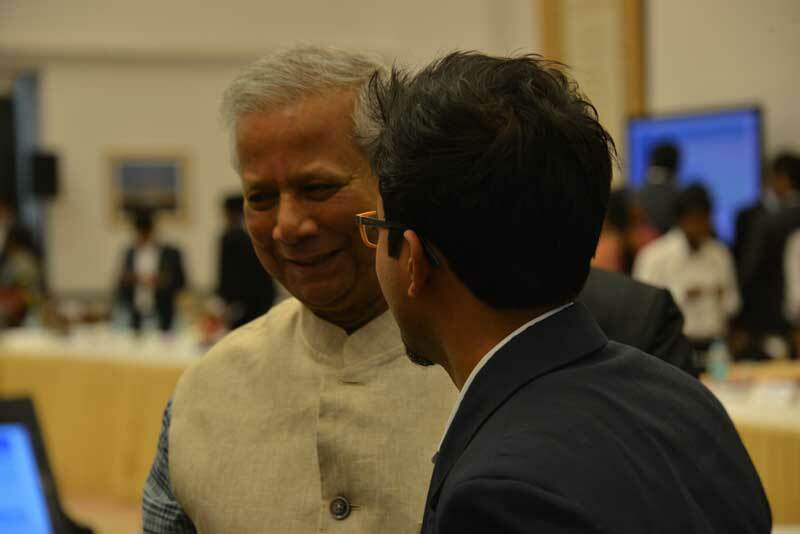 Nobel Laureate Prof Muhammad Yunus also addressed the gathering and shared his experiences regarding Grameen Bank. A presentation on the future roadmap for development through innovation was given by Prof RK Shevgaonkar and Dr Ajay K Sharma. Prof Shevgaonkar emphasised on innovation for rural problems, which should be seen as researchers social responsibility. 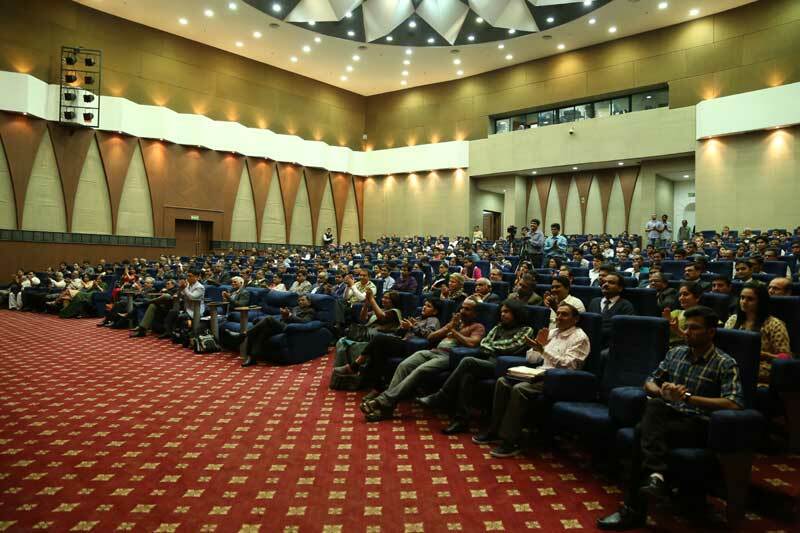 There were presentations by innovation clubs of BabasahebBhimraoAmbedkar University, Lucknow, IISER, Mohali, IIT-Indore, NIT-Silchar and Mahatma Gandhi Antarrashtriya Hindi Vishwavidyalaya, Wardha, IIT- Delhi and NIT-Delhi. A roundtable and an exhibition on ‘Biomedical, Medical Devices and Biotech Innovations for Grassroots Applications’ wasorganised under the aegis of the ICMR. The idea was to celebrate outstanding innovations, with application at the grassroots level, in biomedical science and biotechnology. The exhibition was particularly focused on innovations with a strong potential societal impact. 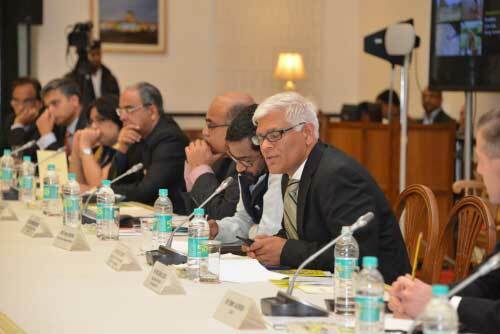 The panel on the roundtable discussion included Dr V M Katoch, Director General, ICMR, Dr K VijayRaghavan, Secretary, Department of Biotechnology, Prof Anil K Gupta, Executive Vice Chairperson, NIF and DrVipin Kumar, Director, NIF. The exhibition held on March 12, 2015 was on sanitation, biodigestion and waste management. Shri Venkaiah Naidu, Union Minister of Urban Development visited the exhibition. The technologies were in compliance with Swachh Bharat Abhiyaan (Clean India Mission), a national campaign started by Prime Minister, Shri Narendra Modi. 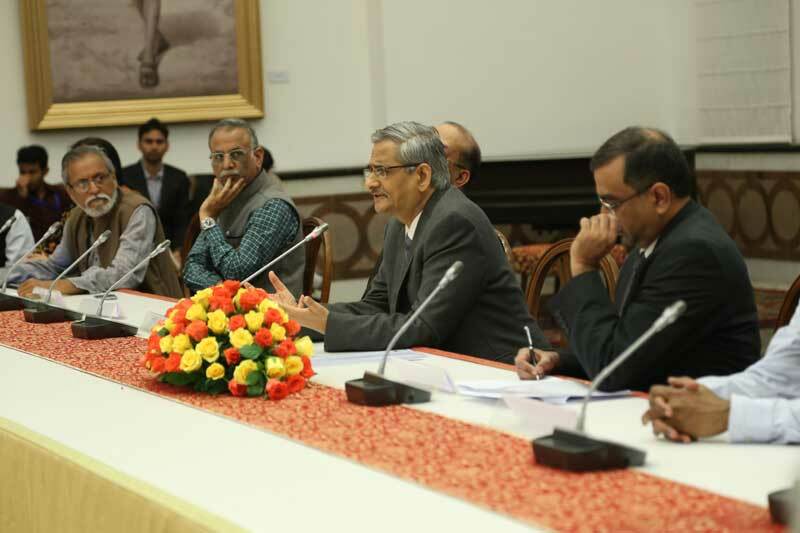 The roundtable on "Financing of Innovations", was organised by the Office of the President, National Bank for Agriculture and Rural Development (NABARD) and NIF. With a total of 62 panellists, the invited participants spanned the breadth of financial sector as well as innovation ecosystem in India. Managing directors, CEOs, founding partners and other top management executives from the entire spectrum of financial domain ranging from public sector banks (including SIDBI, State Bank of India, Punjab National Bank, Canara Bank, along with multiple others from states), to private banks (such as ICICI and Axis Bank), to venture capital groups (such as Ivy Cap Ventures) along with multiple grameen banks and micro-finance institutions (MFIs) were represented, apart from NABARD's own team of bankers. Apart from the banking community, there were directors from educational institutes, representatives from Department of Science and Technology, Department of Skill Development and Entrepreneurship, along with leaders from BIRAC and Department of Biotechnology. 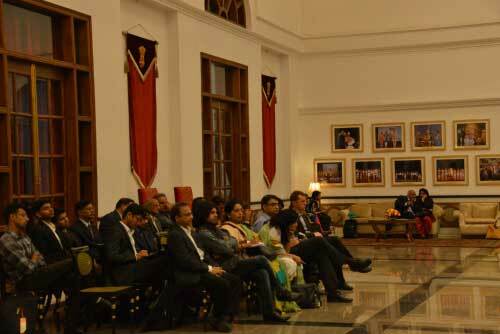 In addition, innovation scholars were present in Rashtrapati Bhavan as special guests of the President of India. This set the stage for an intense debate on bringing out the needs of innovators, scientists, educators and industrialists, and meeting them through efforts of bankers, businessmen, angel investors and the likes. Hon'ble President of India, Shri Pranab Mukherjee shared his observations and ideas before closing the roundtable as well as FOIN.